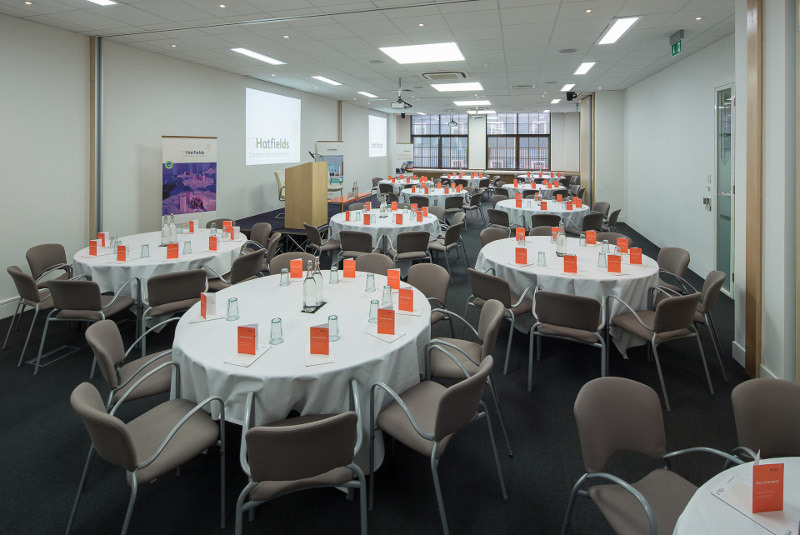 With bespoke state of the art AV facilities including the fastest internet speeds of any purpose built conference venue in London and flexible and functional spaces, our venue in the heart of London has room to fit any occasion. 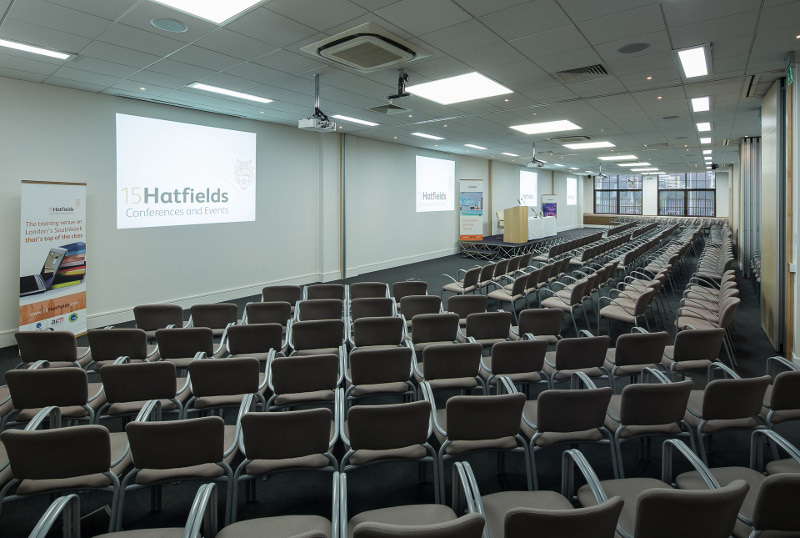 Whether you are looking to hold a small meeting for two, a large conference for 200+ or an intimate evening reception, the team at 15Hatfields will happily assist with your enquiries. 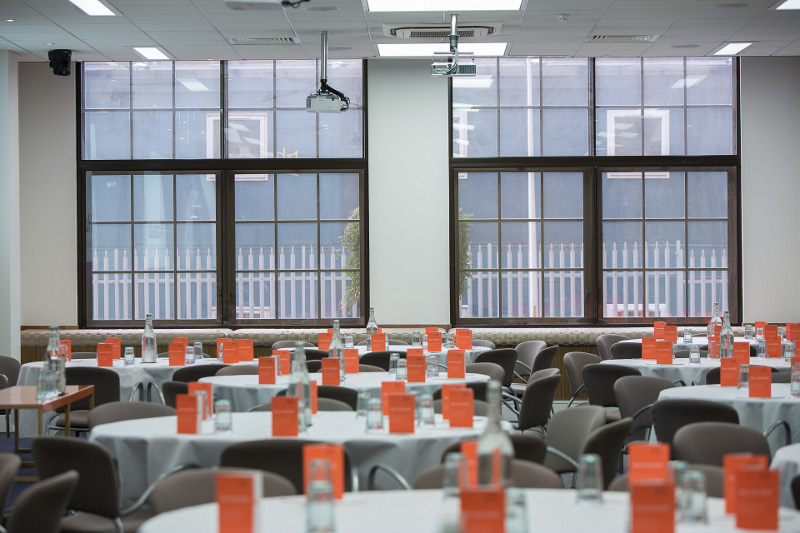 Our newly refurbished lower ground floor is also now available for exclusive private hire and can cater up to 180 guests. 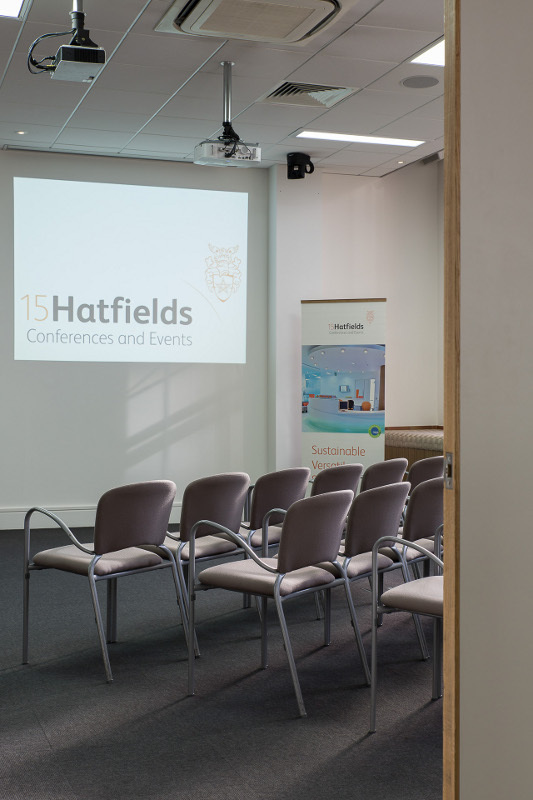 Commissioned in 2008 by the Chartered Institute of Environmental Health (CIEH), 15Hatfields is a non-profit venue with all proceeds supporting the CIEH to help make improvements to the environment and public health awareness. As such, preferential rates are offered to like-minded companies - charities, government and healthcare affiliates can benefit from a five-star service at affordable prices. Can't make it for a venue tour? 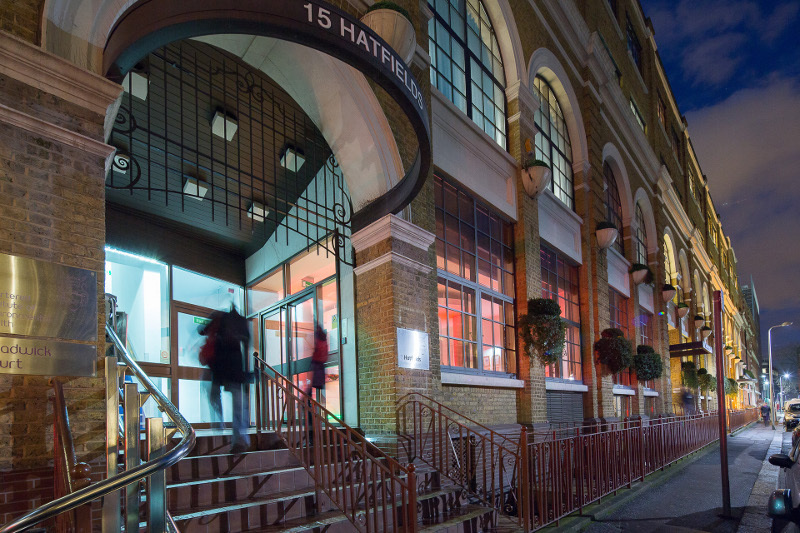 Why not visit the venue using this virtual 360 Google Tour . Contact 15 Hatfields directly or use our simple contact form.